Discussion in 'Guitars in General' started by Heady Jam Fan, Jan 24, 2012. 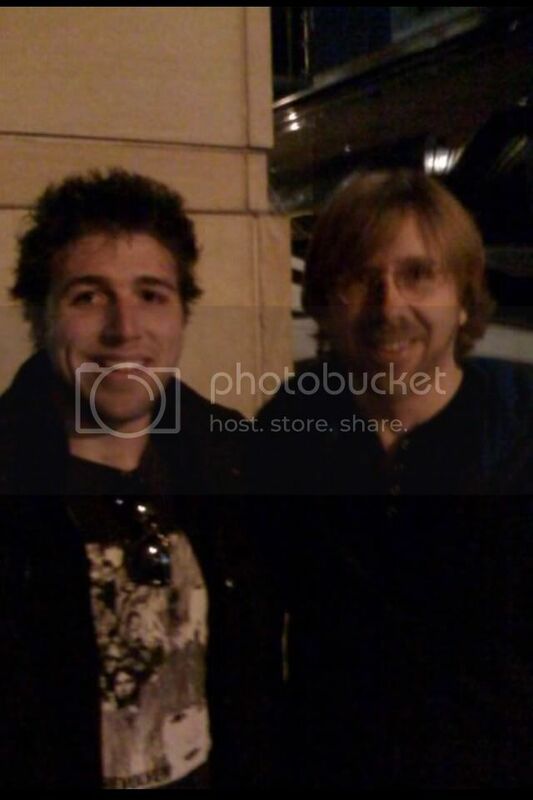 Looking for a 25.5" fret scale fully hollowbody guitar, kinda Trey Anastasio style. I looked a number of options, trying to get your opinions. Nothing as big as an ES 335. I don't wanna skimp on quality for price, but also don't want to pay marked up prices for no reason (ie, I am sure Languedoc is best, but cannot afford it). Hmm, didn't see any hollowbodies... couple chambered ones.?. What about the Gibson Johnny A model? A Heritage Prospect which has a body one inch smaller than a 335 can be ordered with a 25.5 inch scale. Gretsch Tennessee Rose or White Falcon are both 25.5"
Cool guitars too - the Prospect is a Semi-Hollow, their hollows look pretty large. The Johnny A looks pretty nice and probably fits the bill - definitely add it to my list to consider. I find the headstock on Gibson's to be a bit too heavy sometimes and I prefer a single tone and volume knob, but definitely on the right track. Yea - Gretsch has some options too. I would probably opt for one without the trem. Nice - definitely looks old-school/vintage. I currently own 2 Equators (1 Standard and 1 Simple), and recently sold 1 (a Standard) because I have another (a Mini) under construction now. They're great guitars at a fair price, and David Coleman is a great builder to work with. What made you sell the Standard - anything aside from price? I have heard it is significantly above the quality of the others in tonal warmth and physical balance? I suspect part of the price difference is the bent sides (which I guess adds to tone). I am still trying to place his prices - the Standard is about 4.5 IIRC, I know someone who can sell me one for 3.5, which I really want to do, but in the due-diligence part of my research (and trying to sell 2 guitars I have for funds). If I got one made for me I would have to go with a custom, probably mini depending on how much they cost these days. Yeah I forgot that about the Prospect...and I own one! It has a block attached to the top but the block doesn't go all the way to the back. Sort of a semi hollow hollow. How about a Sadowsky Jimmy Bruno or SS 15? He has made a Bruno with 2 pickups as well. Never mind...not a 25.5 scale..
Yea, I think those came out right after I got a Thinline like 10 years ago, when I joined my first jazz band - they got great reviews IIRC. 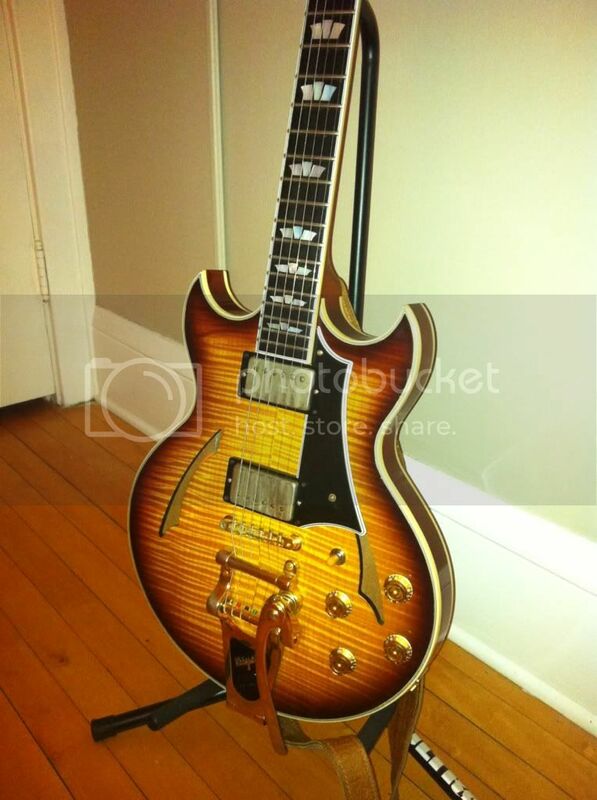 I have to look at the versions but I thought they were semi hollow. The Heritage Prospect can also be ordered fully hollow, and also with P-90s. Rob Engel -- designed to get a hollowbody sound at electric volumes (without feedback!). He has 14", 15", and 16" models, all with 25.5" scale. http://www.engelguitars.com He knows his wood and electronics, too. What about a Fender Coronado? Saw Jimmie Vaughn playing one last week in Austin. I'm a huuuge Trey fan. Take a look at the Johnny A Gibson. It's 25.5 and fully hollow. Expensive, but truly an incredible guitar. Me with the best guitar player that ever was. If you're chasing Trey's sound, though, you WANT that feedback.